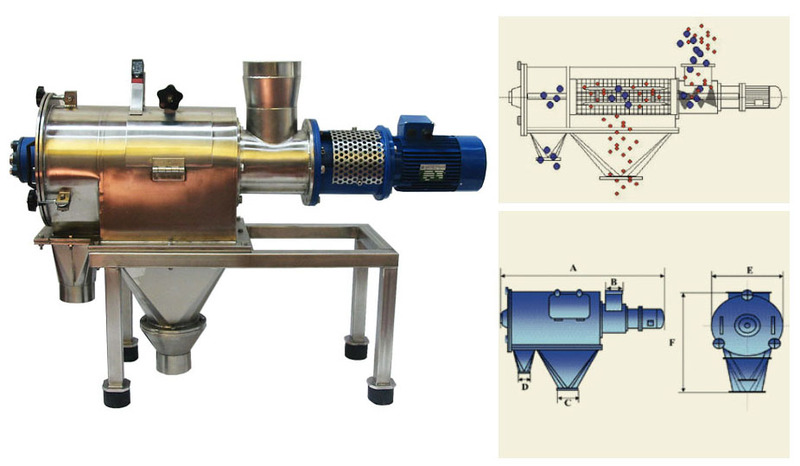 Rotary Separator : ERIMAKI | THEREC TECHNOLOGY (THAILAND) CO.,LTD. the absence of impurities in the treated product. fraction, which shall be discharged from the main mouth. section, to keep the powder away from bearings. steel. The latter, upon request, may be supplied with a mirror-polished surface finishing. are just a few of the products which are typically sieved using the rotary separator.